How might we engage Millennials as an employee, investor, asset owner, contributor, or beneficiary? The Millennial engagement question pesters leaders at the C-suite levels of businesses around the world. They take a look at their numbers and scratch their head. Numbers aren’t so good. There’s a new generation making waves in the quality of those quarterly reports. Millennials and their impact is growing fast! Millennials are swiftly overtaking Boomers as the largest generation in the United States at upwards of 70 million. According to Brookings, by 2025 a whopping 75 Percent of the workforce will be made up of Millennials. Who are they? What do they care about? How do they connect with each other? With businesses? With social causes? Data on Millennials is an industry in itself but what we’ll highlight in this blog is the fact that Millennials, more than any other current generation, have a passion for social causes, and act accordingly. The impact sector, therefore, has their attention. But it must compete fiercely for it because Millennials are also tech savvy and allergic to inauthenticity. There’s a key ingredient to capturing and holding both the attention and the loyalty of Millennials in the impact sector. We’ll share what that is in this blog, but first we’ll give a bit more context to illustrate why ultimately this ingredient is so important. The 2017 Millennial Impact Report paints a picture of Millennials as a generation which is uniquely interested in doing something to improve the quality of life of others. How they focus this drive (which impact areas) is in part informed by their life experience/personal passions, and also by the broader cause narratives circulating in the zeitgeist (e.g. immigration reform). Millennials are showing significantly increased interest in causes that impact minority, marginalized or disenfranchised groups or people. 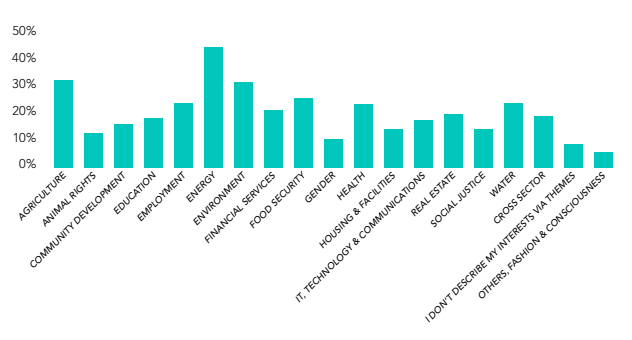 Millennials are most interested in causes that promote equity, equality and opportunity. Millennials’ attention often is drawn to issues outside themselves or their groups. An important inference one could make from these insights is that because Millennials are engaging causes which fall outside their realm of experience, they must also be spending more time educating themselves about the particular characteristics of these causes. Who is being affected? What are the emerging solutions? Established solutions? How are they being implemented? What kind of effect are they having? Is this effect long-lasting? In short, the tech-savvy Millennials are immersing themselves in information to inform how, and how much, they engage with a particular cause or organization working for that cause. Or from which “socially responsible” company they choose to buy from. This means they need access to data. Which brings us a bit closer to the key ingredient for driving Millennial engagement. But there’s another market of Millennials apart from the vast consumer one. The market of wealthy Millennials catalyzing the business of impact from the inside out. The Toniic Millennials & Impact Investment report illustrates that Millennials aren’t just a force as consumers, they’re also a growing factor as asset owners across sectors. What’s more, according to research by Oppenheimer Funds and Camden Wealth Management, nearly 7 out of 10 Millennials are interested or very interested in impact investing, a method of capital allocation which seeks social returns alongside financial returns. Events like the Nexus Global Summit, are convening more and more Millennials every year to connect with them investing opportunities and exploring how capital can be mobilized for social impact. So the question for those in the impact sector (and, really, those in the corporate sector as well) is, how might we best engage and maintain engagement of this purposeful and shrewd generation? The answer is simple: show them the data. More specifically, show them the impact data. Millennial engagement starts with and is built upon transparency. After all, this is the information generation. A study from Label Insight found that “nearly all consumers (94%) are likely to be loyal to a brand that offers complete transparency.” If we’re talking about Millennial consumers, who are more driven by social purpose, that transparency has to include impact transparency. In other words, a Millennial consumer or investor in the impact sector seeks authentic impact. Unfortunately, a Deloitte millennial survey found that this generation is losing hope in business transparency and is less loyal this year than in the last 2 years. Furthermore, a CSR study by Cone Communications, tells us that more than 75% of Millennials say that “when a company takes a stand on a social or environmental issue they’ll do more research to see if it is being authentic.” Think about that for a second. If there are 70 million Millennials, that’s more than 50 million eyes and ears and minds you have to convince (demonstrate) that there is real impact occurring. Put simply, shiny photos and cute stories aren’t going to cut it. If you’re a non-profit, for example, your impact report should go deep into your Theory of Change, the selection of metrics, processes of analyses, and the extent to which outcomes were achieved (or not). After all, those same Millennials are swiftly becoming a vast volunteer base, and a huge pool of potential long-term donors. If you’re a for-profit social enterprise, the exercise is similar. Are you really creating an impact with shoes you are donating (see TOMS Shoes case)? How are you treating the workers in your factories (see Everlane case)? Is the environment truly benefitting from your existence as a company (see Thrive Natural Care case)? The conclusion here is clear. There must be accessible impact data to facilitate Millennial engagement in the impact sector. To be able to communicate such transparency with both efficiency and authenticity, all impact-oriented entities need a way to manage this impact data so that it is a) accessible and easily managed by internal stakeholders and b) can be leveraged to achieve more transparency which external stakeholders (i.e. Millennials!) can trust. At Sopact, we’ve recognized this double-sided demand -- Millennials seek transparency, organizations need to demonstrate it -- and have created an end-to-end solution to manage the impact data involved. The Impact Cloud is a tool where data can be housed, manipulated, managed, organized, analyzed, and communicated from stakeholders on the ground, to the boardroom, the investor pitch, and even to the world at large (authentic impact reports!). In short, you can manage impact data transparently between all these players. LEARN MORE ABOUT SOCIAL IMPACT ASSESSMENT TOOLS. The Millennial generation is no longer growing up. They’ve arrived and are accelerating the inertia of all sectors towards a world where social and environmental impact isn’t a nice thing to have, it’s simply the way things are done. Are you ready to leverage your impact data for full transparency and better Millennial engagement? We’d love to chat. In the spirit of full transparency, a free demo awaits.